nesdev.com • View topic - Game Genie - when it compares memory value for replacement? Game Genie - when it compares memory value for replacement? 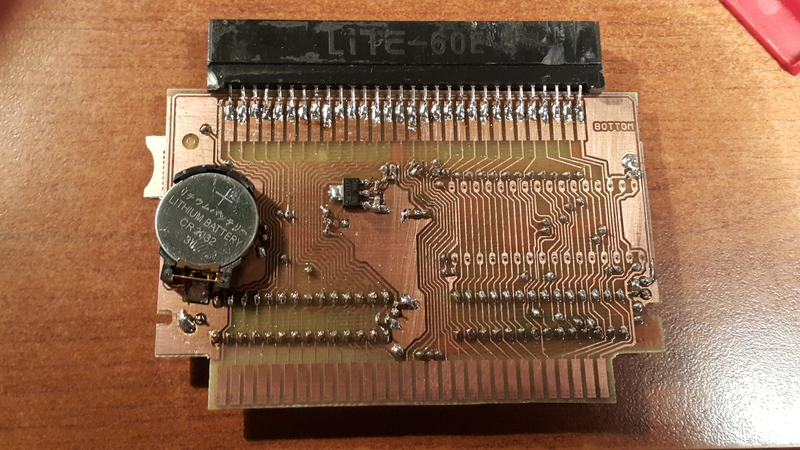 Post subject: Game Genie - when it compares memory value for replacement? 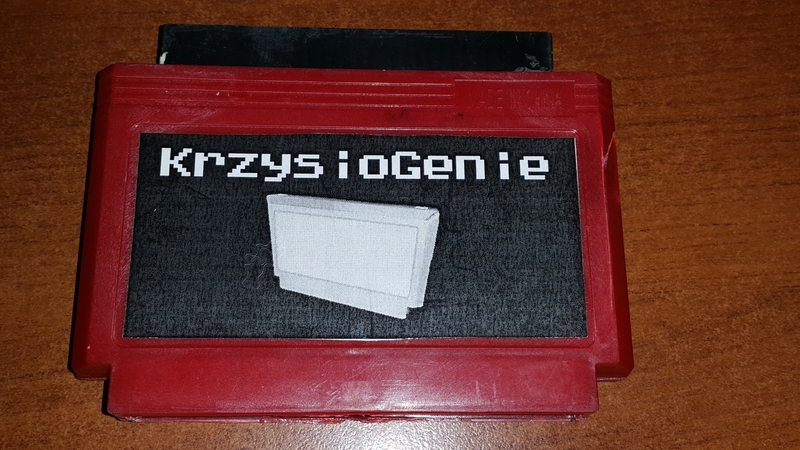 I am in a way of building KrzysioGenie - an utility cartridge which will offer features of Game Genie (modyfying ROM value - for example in order to cheat) and Action Replay (save/load game state into micro SD card). 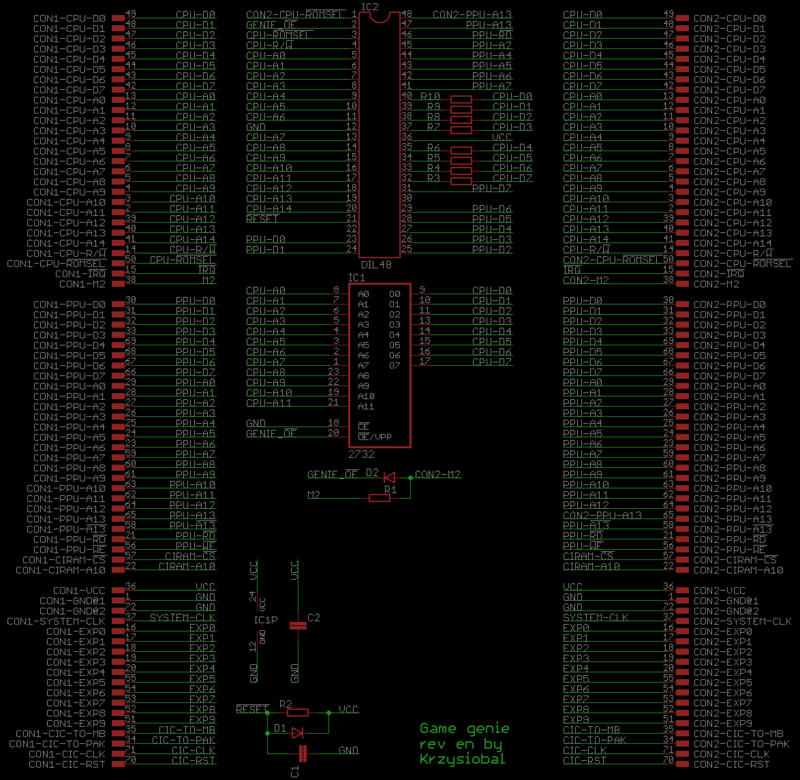 When I first read about the idea how Gallob's Game Genie works, it looked amazingly simple & briliant to me. 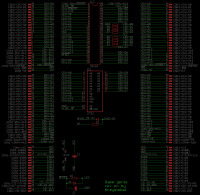 Those resistor between gallob's data bus and cpu data bus are quite weird to me, but maybe gallob's data bus is not tristate and that's the reason. However, the process of replacing memory value WHEN DATA COMPARISION IS TURNED ON is unclear to me. 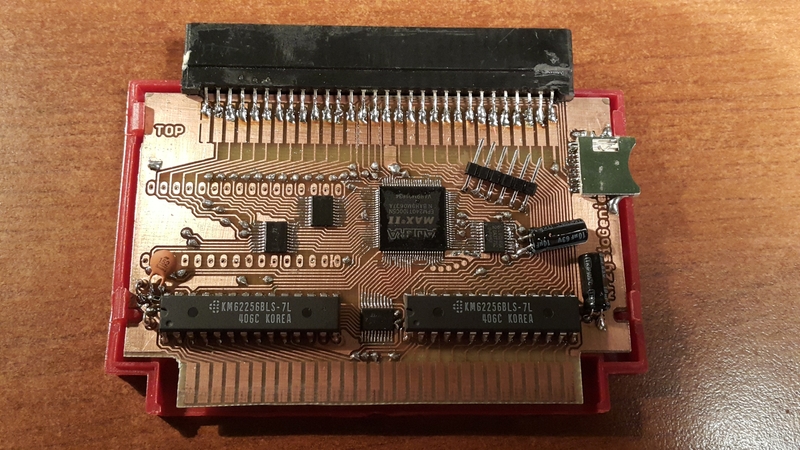 What is unclear is when Game Genie's chip detect that there is right moment to read CPU's data & address bus and if they match, turn off cartridge's PRG-ROM and put his own value on data bus? *4. it also can't do that after some fixed amount of time after falling edge of ROMSEL because there is no external timer components (R/C) nor faster crystal oscillator, but maybe they are inside gallob's chip? The functionality of the NES Game Genie is described by expired US patent 5112051 ... it looks like the data comparison is an asynchronous process. How do you intend to register the mapper, for knowing what to watch for to save and restore bankregs, etc.? 2. if crc does not match any known game, user can chose mapper from list. 3. You should be able to detect most mappers by probing the registers and checking what happens. I don't have any good answer to the question, but I wanted to say this project looks awesome. 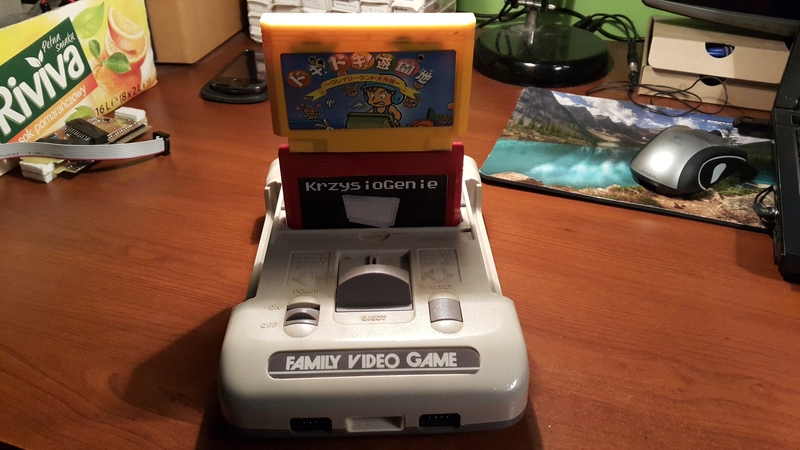 Game Genie is one of my favorite hardware devices of any kind, so it's really cool to see a more modernized one coming to the Famicom. I'm working on a similar type of device, but I took the path of having 2 fully separate data buses on the logic, so it flows through it. You've probably also thought of Pro Action Replay codes, too (Game Action Replay is the savestate one). But if not, the PAR I think it just takes over the NMI vector, then you can run your own code to force a variable to be whatever value. A) detect the mapper first, then set it to the last bank, and then CRC. B) have a CRC match for every possible startup bank, if you don't mind growing the comparison list. Do you pronounce it "KshissioGenie" ? Polish rz is normally pronounced "j", but becomes "sh" after voiceless consonants. 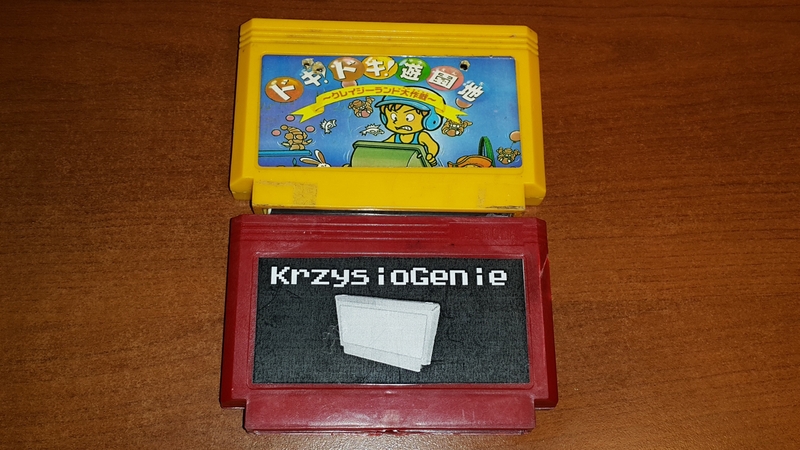 Polish Y is between i and e, but I find it to be closer to e.
I still wonder wether the "g" is supposed to be plosive (german/polish style) as in "game" or affricate (english/french style) as in "giant". Since "genie" is a valud word in all those languages pronounced differently we can't know for sure. Anyone who has watched Disney's Aladdin with English audio would know "genie" keeps the affricate pronunication of Arabic "djinn". Thus it's the "soft" G as in ゲームジニー (geemu-jinii). Anyone who has watched Disney's Aladdin with English audio would know "genie" keeps the affricate pronunication of Arabic "djinn". Does this means that Djins from the game series Golden Sun on GBA are actually Genies ? "djinn" and "genie" should normally be synonyms, I believe. Even though the Golden Sun ones don't look like the stereotypical genie, they seem to have the "elemental spirit" idea that djinn are usually associated with in RPG/Fantasy? For me, genie, djin and genius were synonymous. Maybe it's because my mother language. Now with a little research, seems that genie is the good guy, djin is the bad guy and genius is the smart guy. It may be a wrong assumption, at least the genie vs djin part. They're all the same etymology. Genius is just the english equivalent of Gernie in the other languages. Djin seems to be the arabic equivalent.